“Our goal is to prepare newly ordained priests for the most challenging circumstances imaginable, and those certainly would include liturgically challenging situations,” remarked Archpriest Dr. John Behr, Dean of Saint Vladimir’s Orthodox Theological Seminary here. “That’s why we’re restructuring our music and liturgics courses for our Master of Divinity students—because we’re finding they sometimes end up in parishes with no deacon, no chanter, no choir director, and perhaps even, no choir! A conductor and singer, Matushka Robin holds a Bachelors of Music in Voice Performance from Gordon College and a Masters of Music in Choral Conducting from Indiana University. She has worked with a wide range of choirs, including professional chamber choirs, church choirs, children’s choirs, community choirs, college choirs, and opera choruses. As a singer, she has travelled across North America, Europe and Asia performing a wide variety of repertoire that includes opera, chamber music, and jazz. Matushka Robin joined the seminary’s faculty in 2012 as Lecturer in Liturgical Music, teaching courses in beginning and advanced conducting. She conducted the Saint Vladimir’s Seminary Chorale in three concert programs, two of which were presented in New York City. Under her direction, the Chorale also released two recordings with Saint Vladimir’s Seminary Press. 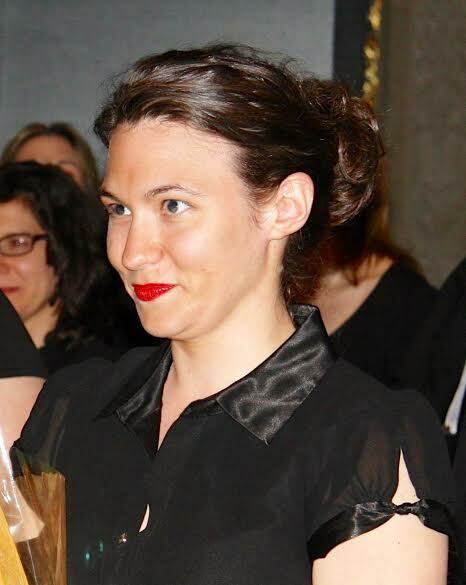 In addition to her work with the choirs of Saint Vladimir’s Seminary, she was engaged by the Princeton Festival, a multi-dimensional performing arts summer festival, for several seasons as Chorus Master, Assistant Conductor, and Assistant to the Artistic and General Director. In 2015, she served as the Chorus Master for the Festival’s production of Mozart’s Le Nozze di Figaro. She also has also served as the Director of Music at Holy Trinity Church, Yonkers, NY. Harrison was Saint Vladimir’s Seminary’s Class of 2013 Valedictorian. 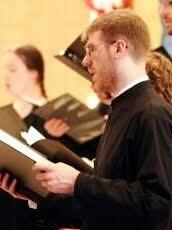 He earned his Bachelors of Arts in Music at Swarthmore College in 2009, and is the recipient of several scholarly awards, including the J. Fletcher Graduate Fellowship in Music from Duke University in 2015 and “The Promise of the Vatican Library,” a travel grant for Junior Scholars, from Notre Dame University and the Vatican Library in 2016. Also ensuring those high standards will be Father Eric Tosi, 1996 seminary alumnus and Secretary of the Orthodox Church in America since 2008. Father Eric will be training seminarians to celebrate the liturgical services with dignity and grace and will be imparting to them an understanding of the essential components of the services. 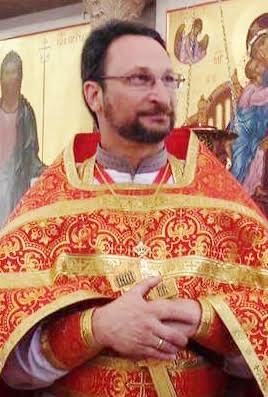 Father Eric earned his Doctor of Ministry degree from Trinity College at the University of Toronto, and his doctoral thesis was titled “Koinonic Evangelism: A Case Study of the Theology and Practice of Evangelism in Three Parishes of the Orthodox Church in America.” He has had experience as a pastor at Saint Nicholas of South Canaan Church, Billings, MT and Saint Paul the Apostle Church, Las Vegas, NV. Since 2013 he also has been the manager of the OCA’s Parish Mentorship Program at the seminary, which places senior seminarians under the mentorship of seasoned priests in local parishes. “I am so very pleased to be joining the faculty of Saint Vladimir’s Seminary on a more permanent basis,” Father Eric remarked. “To be appointed to this position and to continue to train future clergy, following the footsteps of the great teachers who have taught here…well, this is an honor. I pray we faculty build upon their foundations and continue to provide the Church with quality leaders and clergy.